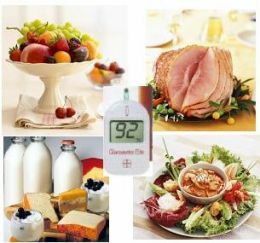 Diabetes mellitus is a chronic disease which as a rule is caused by genetic conditions and characterized by a violation of all types of metabolism especially carbohydrate. For diabetes is characterized by chronic hyperglycemia (increased blood glucose) and glycosuria in terms of presence of glucose in urine due to insulin deficiency which is most often a relative and absolute. World Health Organization in 1981 has given a definition of diabetes like a state of chronic hyperglycemia which may develop as a result of exogenous and causes genetic factors that complement each other. Thus, the most important feature of diabetes is increasing blood sugar levels known also as hyperglycemia. The content of sugar in the blood of healthy human fasting 3.33 – 5.55 mg / dL. These places in the body are unevenly distributed in the tissue of the pancreas and they distinguish four main types of cells known as Beta cells which produce insulin, Alpha calls which are in charge of glucagon, Delta cells for somatostatin and P cells for pancreatic. Due to the total number of cells and their parameters for “health”, “full” and “quality” we can work out their insulin dependent cherished numbers of health from 3.33 to 5.55 mmol / l glucose in the blood. Insulin is seen as the “key” for the penetration of glucose into the cells of the liver, brain, muscles i.e. the organs which are not able to function without glucose properly. glucagon which is increasing it. 7) cells of the pancreas are sensitive to different viruses. The twentieth century gave people insulin and hypoglycemic agents which can not only extended but really has saved millions of lives and made it possible for people affected by diabetes but just to live, work actively, make love and have children. The frequency of diabetes mellitus type I in the 0,2 – 0, 3% of the population. In families where one child is suffering from diabetes type I, his brother or sister of risk to get diabetes about 5%. In families where the father has Type I diabetes risk of the disease, 5 – 10%. If the mother is ill, the risk of disease in children 2.5 – 5%. The risk of developing type I diabetes mellitus is higher in those families in which there is diabetes, a third child’s risk to get 10%. In the case of type I diabetes mellitus in relatives of 2 nd degree relatives (uncle, aunt, grandchild) the risk of developing diabetes mellitus 1 – 2%. The frequency of diabetes mellitus type II is higher than type I diabetes. Among the relatives of the patient with diabetes mellitus type II diabetes risk 25 – 30%, and if both parents have type II diabetes, the risk of developing diabetes in their children after the age of 40 years – 65 – 75%. Requires: 4 beets 1 carrot 4 cloves of garlic, 0.3 liters of water, 1 orange, 1 teaspoon lemon juice, 4 tablespoons sour cream, 2 tablespoons chopped dill. Preparation. Take raw beets which are cleaned and rubbed on a coarse grater, add lemon juice. Carrot shred straw to be mixed with beets and pour hot water bringing to a boil at the end. Then the stuff has to be cool. Serve with oranges, sour cream, minced garlic, dill. Washed berries are to be poured in boiled water (2 cups of water per 700 g of berries) forl 10 minutes to be rub the berries with the pestle and sieve. Juice has to be filled with Xylitol, Sorbitol or saharitom. Is chilled on 1/2–1 glasses a day. In brine sauerkraut pour tomato juice, squeeze the juice of half a lemon there, add removed from 1 / 4 lemon zest crushed, cooled boiled water, salt to taste. Stir well. Serve chilled. For 6 servings: 1 / 2 liters of brine, 1 / 2 liters of juice, 1 / 2 lemon, 1 / 2 cup water. You need for 1 serving the following: 2 tablespoons of tomato juice, 50 grams grated cheese, 1 / 2 cup of cold milk. Preparation. In blender pour grated cheese, pour the tomato juice and cold milk and beat for 1 minute. Serve well chilled. Required for 4 servings: 2 cups of carrot juice, 2 oranges, 1 lemon, 2 teaspoons honey, 1 cup yogurt or sour milk, 4 – 8 cubes of edible ice. Preparation. In a mixer whip the good carrot, orange and lemon juices, yogurt or fermented baked milk, honey.